This meal is extremely easy and really tasty! 1. Put oil in pan on medium heat. 2. Slice up chicken into strips, then add to the pan. 3. 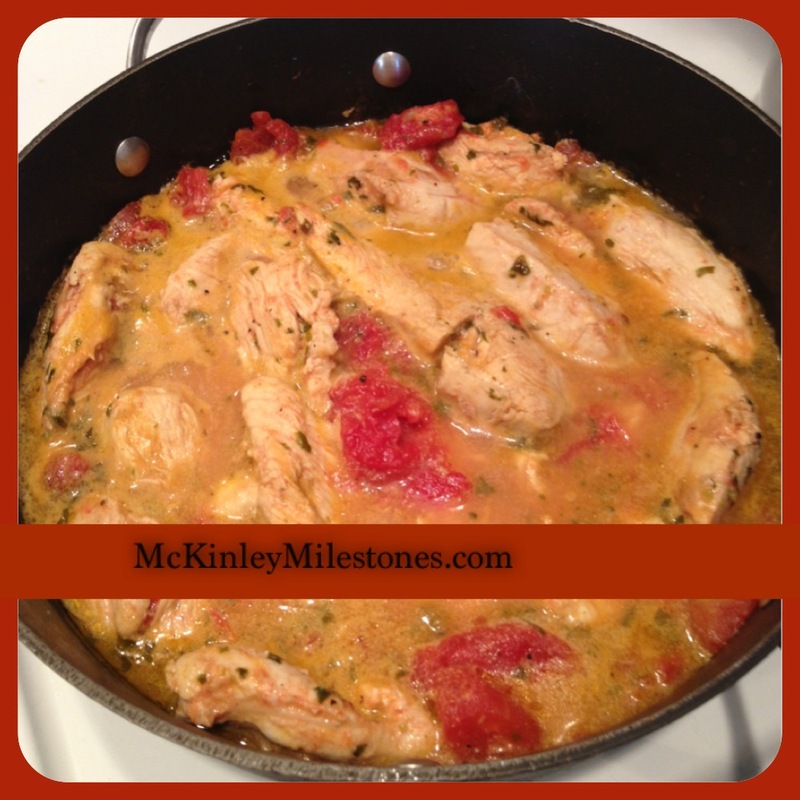 Cook chicken alone for about 2 minutes on each side, then add in the can of stewed tomatoes. 4. Add in basil, a bit of salt and pepper, and let the chicken finish cooking- and soaking in all the yummy flavor. You can serve this over mashed yukon gold potatoes for a warm hearty stew like meal.